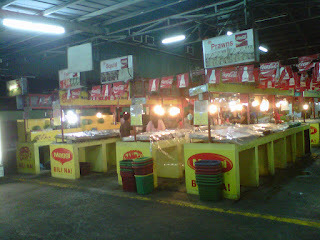 For those who are not familiar with the concept of Dampa, it's a place where you can buy your produce fresh from a wet market, have your choice of cooking style with the food you just met (yes, the food choices are very much alive when you buy them from the wet market) and the place also offers an area where you can eat them. 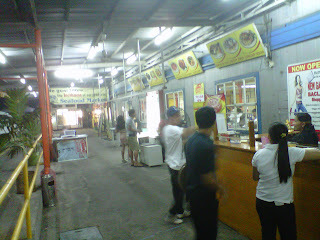 Very friendly neighborhood palengke meets carinderia style eating, with an option to eat in an air conditioned area. 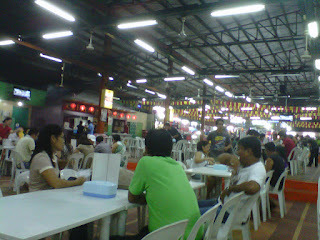 Go to the wet market area and have a "meet and greet" with the food that you'd like to eat. This is where the food will be weighed. You can haggle and request dagdag if they do not want to bring the price down. 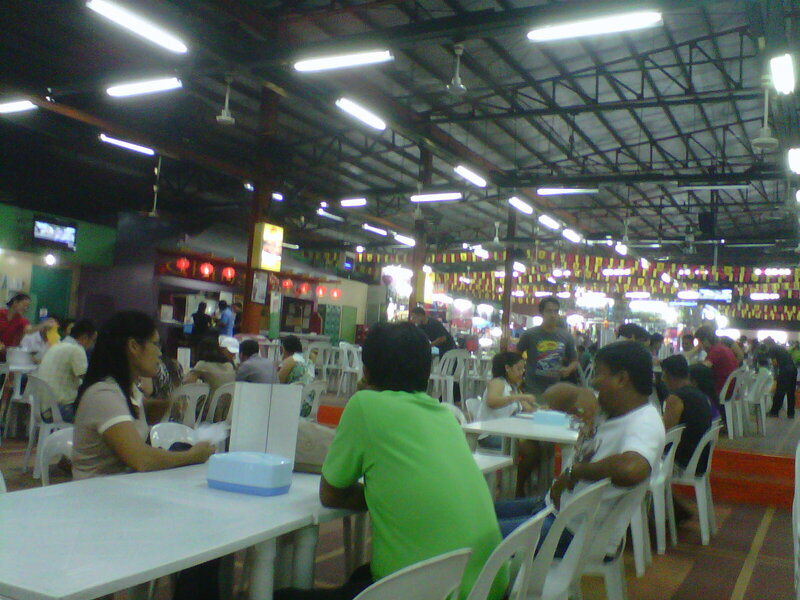 Dampa sa Libis palengke. The crabs are all huddled on the far back of the first stall on the left. The person who attended to you on the wet market will then lead you to the cashier's area where you will pay for the food and the paluto, which is the service charge for cooking the food of choice. Here, you will be asked to choose which color you want, this will denote the kitchen that will cook your food. Always go for the green. 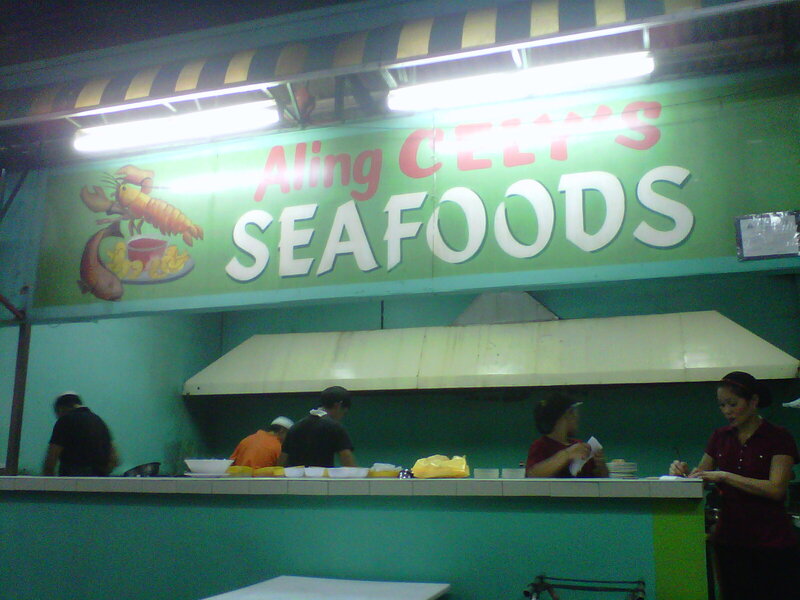 That is Aling Cely's! They make a mean batch of chili crabs that can make you forgo any hell brought about by any allergic reaction you may have from crustaceans. 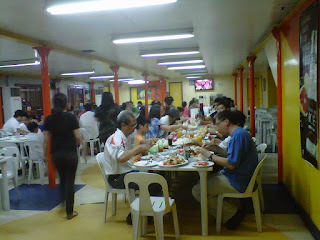 Only the finest kitchen in Dampa sa Libis! We ordered a kilo of crabs (bakla crabs, which according to the palengke person, they are meaty and ma-aligue), half a kilo of shrimp and a kilo of liempo. The crabs were cooked chili crabs-style, we went for buttered garlic for the shrimp and the liempo was barbecued. 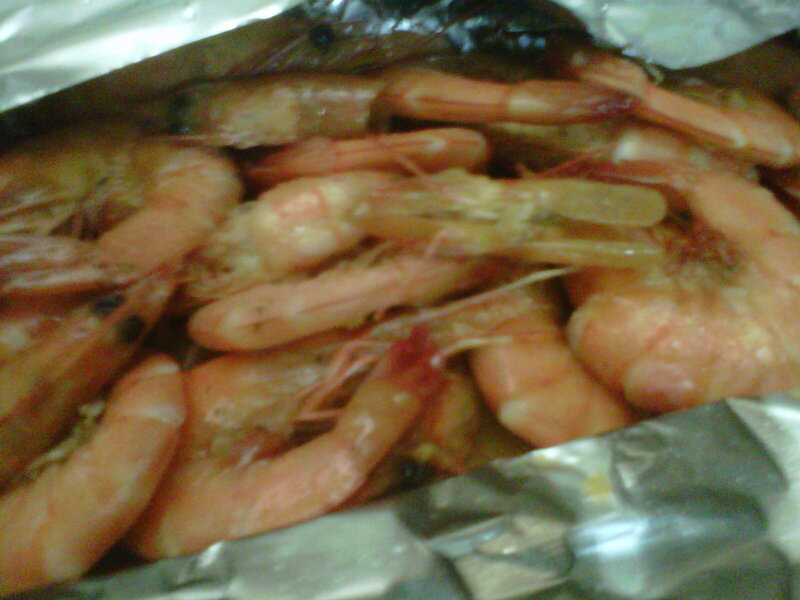 All this was for Php1,400 only! 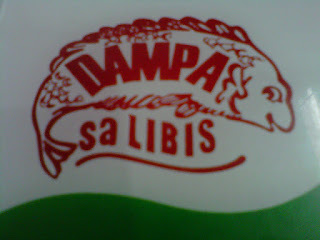 Dampa sa Libis: chili crabs. 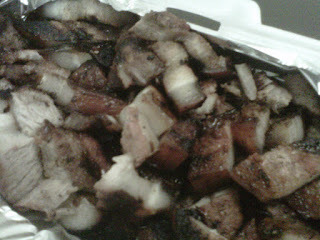 Apologies for the shaky shot, I was rushing to take a shot so I can dig in like a mad man. Note: We only order take out in Dampa, I rarely eat "on site" because I look like a savage caveman when I eat crabs that Deep Tissue Massage boy keeps me away from public viewing. Why don't you make the take out containers complimentary? You can eat outside if you are the smoker-type or you can choose to eat indoors where there is air-conditioning but you'll end up smelling like seafood fare after. 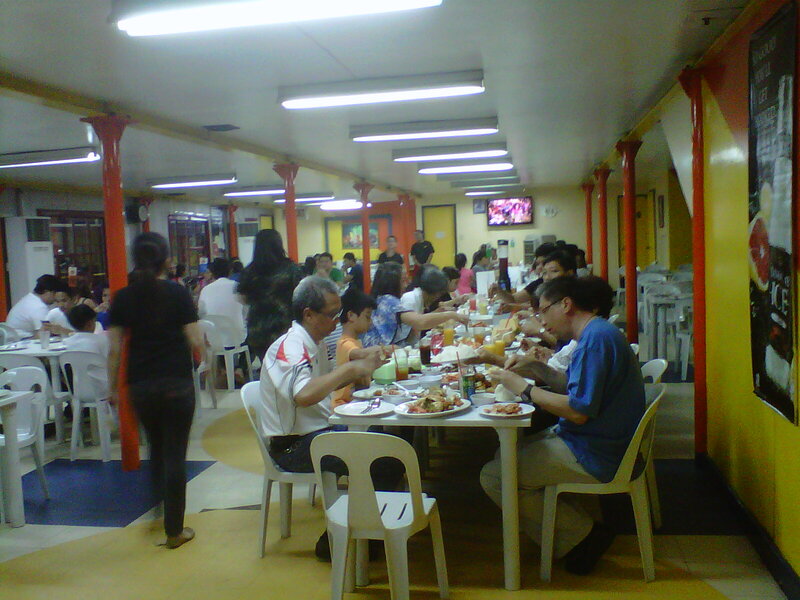 Dampa sa Libis dining area, with air conditioning. 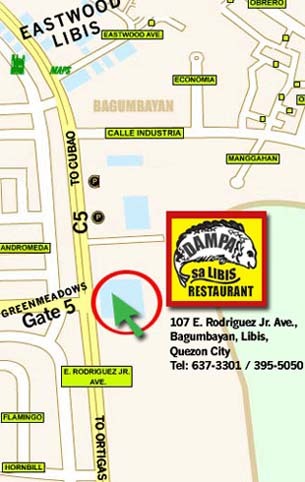 Address: 107 E. Rodriguez Jr. Ave. Libis, Q.C. hahahaha oo nga baked tahong masarap sa kanila. di kumakain ng oysters si DTM. I've eaten in dampa both in Baclaran and Macapagal. 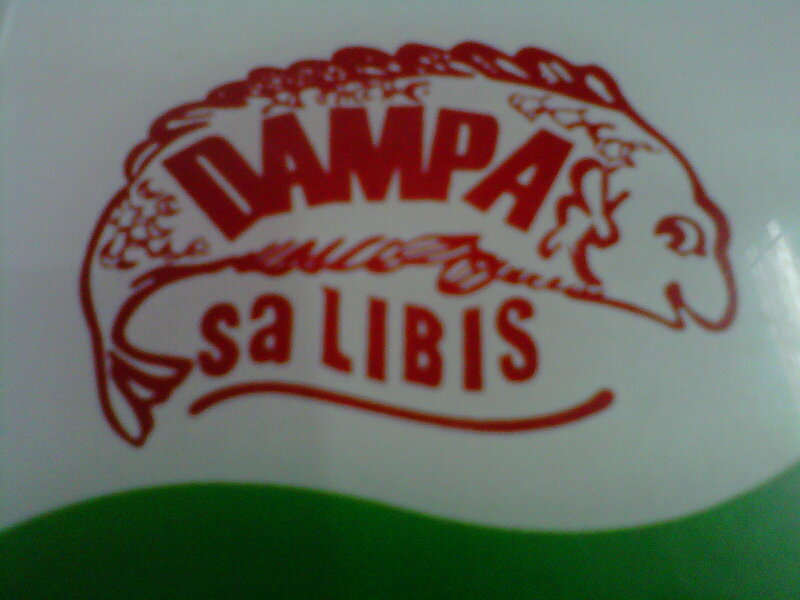 I have checked Libis before but they didn't have salmon so that was super disappointing for me. By any chance, do you know if they already have salmon in their wet market? Thanks! Sumi. Nope dont know if they have that... Maybe you can call them up? Sorry! The crab photos just made my mouth water. 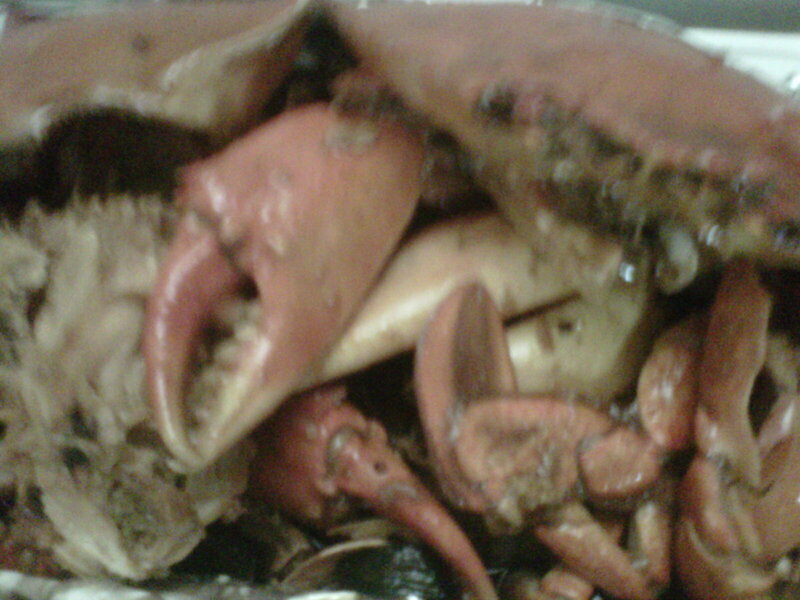 I am now thinking of cooking crabs tomorrow! Hehe. awww thanks for the award! this will be my second one! much love!